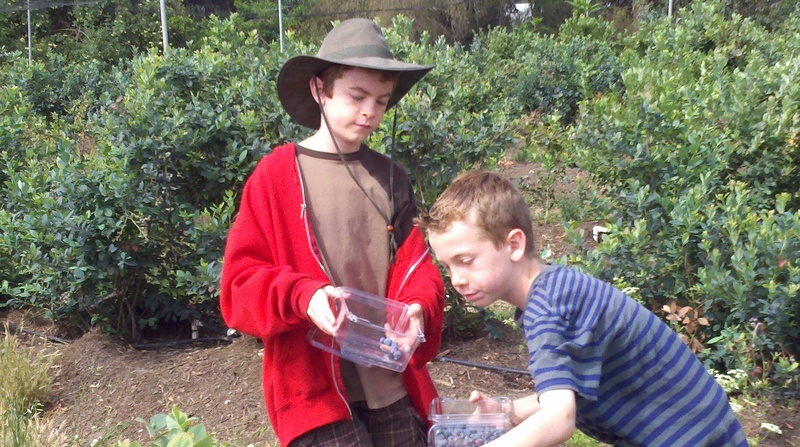 Nothing says the beginning of summer around here more than going blueberry picking. We got a late start on it this year and unfortunately things were a little picked over. Underwood has added raspberries this year- a happy surprise. Boy 1 said that he had never had a raspberry before. He can’t say that anymore and he has declared them “awesome”. Unfortunately the Girl missed all the fun, as she was at youth group summer camp. Well, maybe next year, when they are rumored to add blackberries to the mix as well, creating the perfect berry trifecta: blueberries, raspberries, and blackberries. 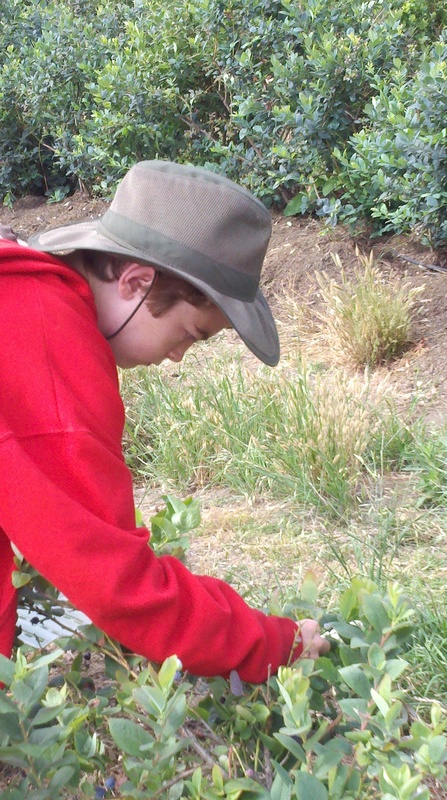 Boy 1 has always enjoyed picking blueberries, but this is the first year he enjoyed eating them as well. 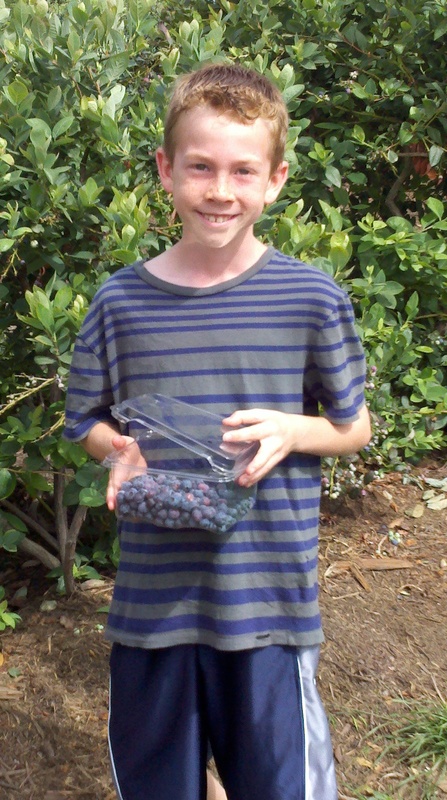 Boy 2 has always loved all things blueberry.